Helło from a very soggy Lincolnshire. I hope everyone is enjoying the Inkoid Teams sneak peaks of what Sheena will be bringing to you on Thursday. 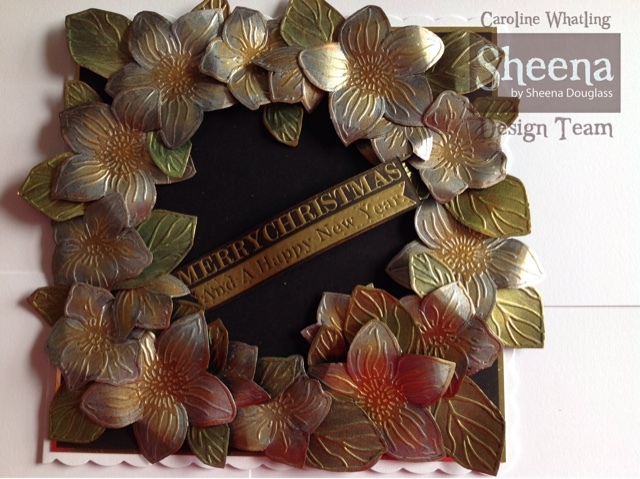 This is another of my sneak peaks and it is using one of the new embossing folders - Christmas Rose. As you can see I have cut the roses and leaves and have used Dyna paint and wax to colour them.